It’s hard to believe that next week is Thanksgiving. Whether you celebrate Thanksgiving or not, this week’s stickers are a reminder that we should be thankful on more than just one day. 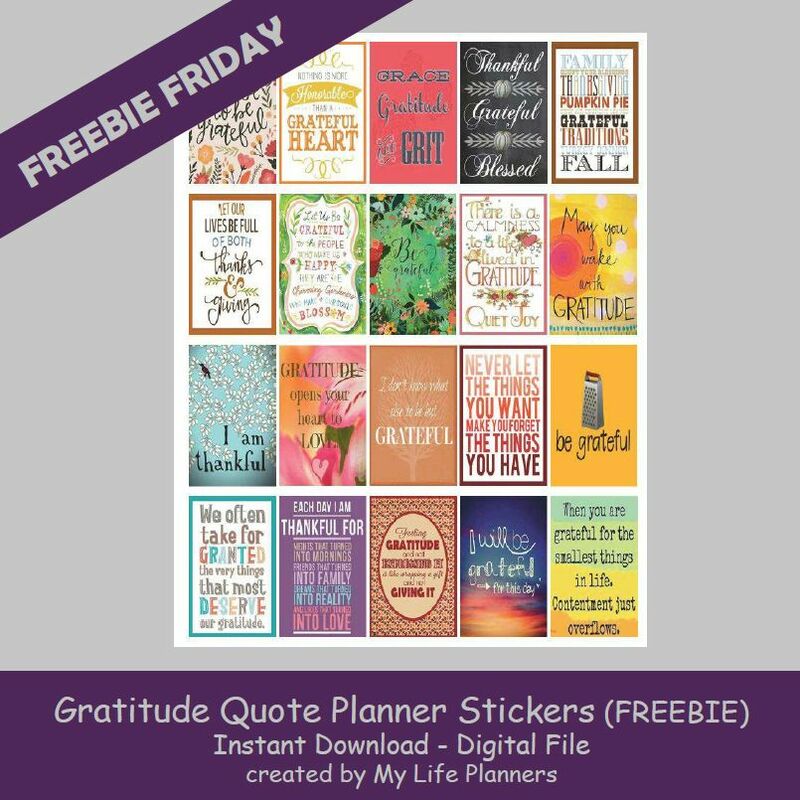 To finish out my Thanksgiving theme of Freebie Fridays, I am featuring Gratitude Quote Planner Stickers. What is gratitude? To me gratitude is being able to affirm that there are good things in this world that may come as a gift, a benefit or a even a simple thank you that we receive. To know that you have these wonderful things that many others may not have. Sometimes our focus can lean towards the negative or struggles of life and we overlook the true blessings that we have. Take the time to count your blessings and you may be surprised. From my family to yours, have a wonderful Thanksgiving.